While you undoubtedly use your iPhone for a wide variety of personal tasks, the device can also be a useful tool to help you care for your dog. There are hundreds of apps designed exclusively for pet owners, and using them can enhance your pup’s safety, security, health, and happiness. 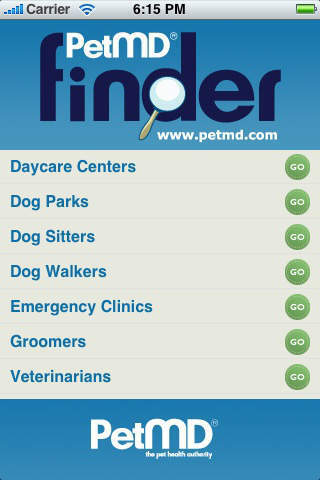 Here is a look at six top iPhone apps that can help you be a great dog owner. It’s every dog owner’s biggest fear: your pup escapes from your house or yard and you don’t know where to find him. Even if Fido has been microchipped, that technology will only be useful if someone catches him and brings him to a shelter or vet’s office, but Tagg enables you to find your dog using a GPS tracker. The free iPhone app only works if you have also purchased a Tagg device that your dog can wear on his collar, but the system is one of the most worthwhile investments a pet owner can make. Once your pup is equipped with Tagg, you can use the app to know where he is at any time. It can alert you whenever your dog leaves your “home Tagg zone” and will show you a map of where he has wandered off to. 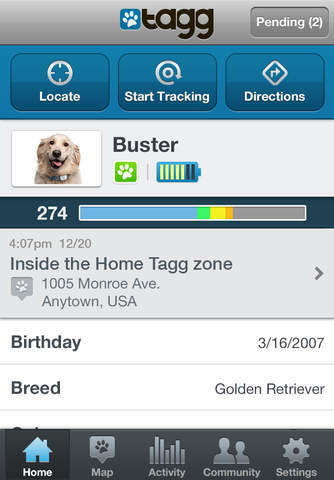 You can also use Tagg to track your pet’s movements at home so that you know if he’s getting enough exercise. Owning a dog certainly makes your life unpredictable at times, but the PetMD Finder allows you to locate necessary pet services no matter where you are. You can use it to find the nearest vet, groomer, dog sitter, walker, dog park, and more by using the location services on your iPhone. You can even read reviews from other dog owners and post your own once you’ve made your visit. An emergency situation with your dog can arise out of nowhere, and it’s important that you know how to take action if Rover is in danger. 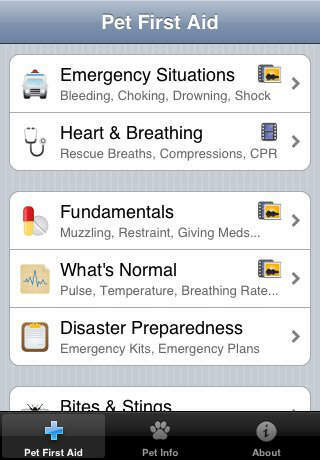 The Pet First Aid app gives you directions for how to handle some of the most common pet problems. Find out how to handle choking, bleeding, trouble breathing, CPR, and more. You can also use the app to keep track of your dog’s vaccinations, medications, health conditions, and veterinary records. 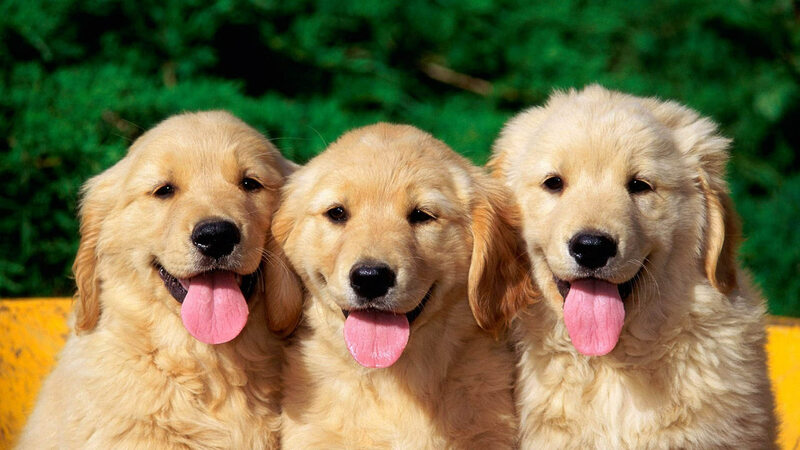 Dog owners love photographing their furry friends, but it can be difficult to teach some pups to pose. The PetSnap app is a photography tool designed to help you snap the perfect pictures of your dog. The app comes equipped with 32 different sounds that it will make while you take your pictures in order to attract Lassie’s attention and make her look right at the camera. 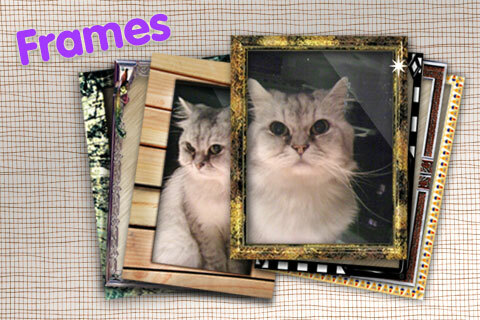 You can also choose from 7 different photo frames in order to stylize the pictures of your pup. 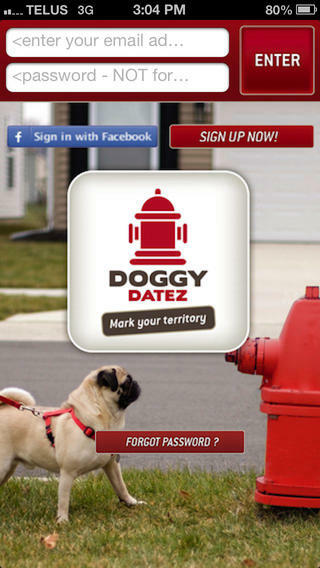 Combining a game and a social network, DoggyDatez lets you find new friends while you walk your dog. You can “mark your territory” on a map by claiming a certain area–just like your dog does–and then use the app to track what other dogs tend to frequent your favorite spots. Once you find other app users in your area, you can send them friend requests and organize meet-ups between you and your dogs. 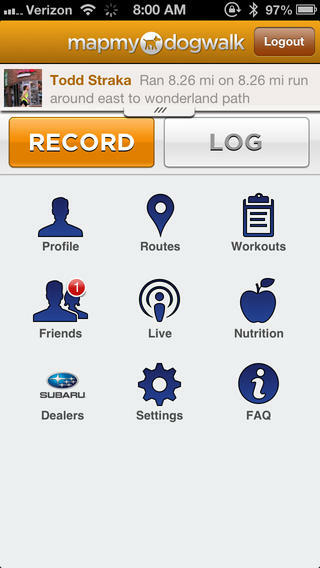 Presented by Subaru, this app allows you to keep track of the routes you and your pup take on your daily walks as well as how many calories you burn while walking. You can also share your data with friends and use location services to find out about routes that other pet owners in your area like to take. The app is equipped with iPod integration to allow you to control your music on the go as well as geo-tagging that automatically maps any photos you take on your journey and uploads them to MapMyWalk.com. What Do You Think About Samsung’s Galaxy Glass?